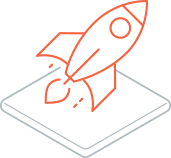 MicroEJ is a software vendor of cost-driven solutions for embedded and IoT devices. 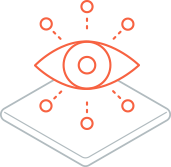 We are focused on providing device manufacturers with secure products in markets where software applications require high performance, compact size, energy efficiency, and cost-effective development. Today more than 100+ companies in the world with currently over 30 million products sold, have already chosen MicroEJ to design electronic product applications in a large variety of industries, including smart home, wearables, healthcare, industrial automation, retail, telecommunications, smart city, building automation, transportation, etc. “In 2012, Android had become dominant after only 5 years, from a 5% to 65% market share in 2012. The first fleet of heterogeneous devices, smartphones, had created the first, massive “edge-with-cloud” computing ecosystem, with cheap-to-design software components. The APPs only needed to be written one, and were delivered everywhere, onto diverse electronic devices thanks to a standard “virtualization”. In 2012, Fred Rivard, Founder and CEO along with the future MicroEJ core team, decided it was the right timing to invest a few tens of millions of dollars to build a unique virtualization platform for the cost-effective electronic devices (the “Things” of the IoT). We accomplished this in the spirit of Android, using same APP standardized format, so that we could leverage the community of 8+ million mobile engineers. There was “only” one challenge: the size of the core virtualization needed to be about 1000 times smaller than Android, in order to cope with the economical constraints of more than 10 Billion devices that are cost-effectively manufactured every year. It took my R&D team 4 years to break that barrier, to create our MEJ32 softcore. Packaged within Virtual Execution Environment (VEE) platforms, it now powers millions of devices, in various industries across Manufacturing, Smart Home, Wearables, Retail, Healthcare, Metering, Utilities, Industrial, Consumer, Defense, etc. Make all the resource-constrained electronic devices that surround us available through a standardize cost-effective platforms, able to run on every microcontroller, low-cost microprocessor, or dedicated System on Chip. Simplify the manufacturing of devices (connected or not) by making affordable state-of-the-art technology. 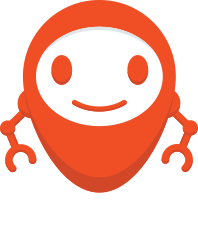 Become THE facilitator for creators of embedded and connected electronic devices. Company’s vision is to bring the capability of mobile operating systems, iOS and Android to every electronic devices, connected or not. What makes us get up every day is to participate in the digitalization of the world. Fred turns technology assets into business reality within the digital world. 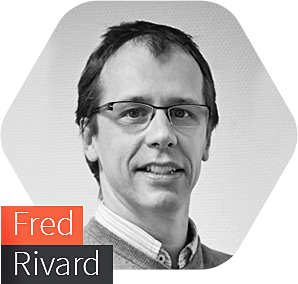 Prior to running MicroEJ, Fred designed several IBM core virtualization technologies as a key member of the Java compiler/vm teams, the Eclipse team, and finally the pervasive embedded team. Fred holds a PhD, and a MBA. 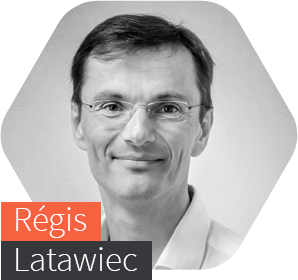 Before joining MicroEJ in 2007, Régis has served as Application Department Manager, and Product Marketing Manager in semiconductors companies. He also managed a 32-bit Microcontrollers product line from initial design to commercial launch. Jehan joined MicroEJ as a chairman in 2011. He previously served as a CEO of Completel Europe, VP Southern Europe of 3COM. 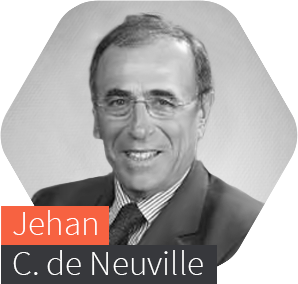 Earlier in his career, Jehan held various positions as COO, and Sales/Marketing VP in several $B+ US companies. 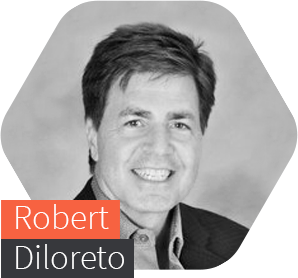 With more than 20 years of domestic and international sales and business development, Robert joined MicroEJ in 2017. He previously served in industries such as Deep Learning, Neural Networks, Embedded Edge Devices, Health Care, IoT and Robotics. 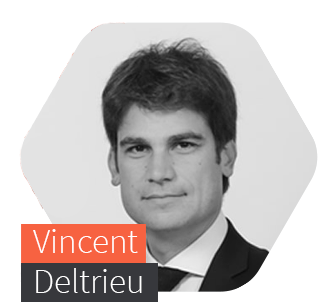 With more than 20 years in many deep-tech and fast growing innovative Companies, Vincent mixes his dual competencies – finance (MBA) and engineering skills (Master) – to detect opportunities, and to create conditions to turn them into business success, as demonstrated by his outstanding track record. As an innovation capital pioneer, Innovacom has invested €1 billion since 1988 and has supported more than 300 digital startups. Specialist in digital projects with high technological content, Innovacom has participated in more than twenty IPOs, 150 industrial assignments and holds some of the most emblematic successes of French innovation (Business Objects, Gemalto, LastMinute.com, Inventel, Soitec, Aufeminin.com). Its most recent successes are in various sectors such as electric vehicles (G2Mobility), Ad Tech (Videoplazza), medical imaging (Olea Medical), digital customer relations (Dimelo), connectivity in trains (21Net Ltd) or the components for smartphones with the unicorn Heptagon. Today, through its seed and innovation funds, the company manages a portfolio of €180 million and is a reference in the sector. Its recent strengthening through a significant partnership with the Turenne Capital group has given rise to a Capital Investment platform of more than € 1 billion under management for the innovative economy. Among its most recent investments are companies such as Aryballe Technologies, CAILabs, CozyCloud, Exagan, Feeligreen, Intersec, ITEN, Kolibree, MicroEJ, Matrixx Software and Robart Gmbh.